Dean of the College of Health Sciences Bill Kohlhepp will be stepping down from his position on June 30, according to a statement from Mark Thompson, executive vice president and provost. Kohlhepp, who has been serving as the dean of the College of Health Sciences since 2015, will return to his original position as a faculty member in the physician assistant (PA) program, where he began in 1996. Kohlhepp’s decision was made based on a desire to spend more time with his grandchildren and elderly stepmother, according to the announcement. 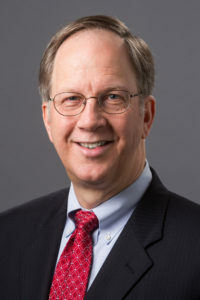 Prior to becoming dean in 2015, he served as associate director of the PA program in 2002 and was promoted to director of the entry-level master’s PA program in 2007. In 2010, he became associate dean of the College of Health Sciences and in 2014 he was appointed associate vice president of faculty affairs. While serving as dean, he introduced an integrative capstone to the school and increased the use of high-fidelity patient simulation in all departments. Thompson expressed gratitude for Kohlhepp’s contributions to the health science community. The university has begun a nationwide search for a new dean according to Thompson.